STATEN ISLAND, N.Y. – The Metropolitan Transit Authority is making another round of changes to the new Staten Island Express Bus Network based on commuter and bus operator feedback. On Friday, Borough President James Oddo and MTA New York City Transit President Andy Byford announced plans to restore some stops that were eliminated during the network redesign, add new routes, and tweak existing routes to match ridership demand. The changes are slated for November and January. "As C.S. Lewis once said, ‘You can’t go back and change the beginning, but you can start where you are and change the ending.’ The ‘end’ we want is an express bus system that is as efficient and reliable as possible and better than the one we had,” Oddo said. The announcement followed a meeting between Oddo, Byford, Amalgamated Transit Unit Local 726, NYC Transit Officials and commuters. Byford said the changes are the latest in a “long line of improvements” -- iterative upgrades to the Staten Island express bus redesign that first launched in August. A major round of changes were implemented in October, including eliminating two lines and adding a new route, the SIM9. 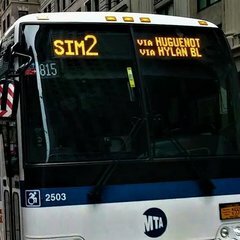 And just this week, the MTA announced the SIM23 and SIM24, operated by Academy Bus, will have a slight schedule modificationand no longer use 42nd Street, with drop-off and pick-up moved back to 34th Street. 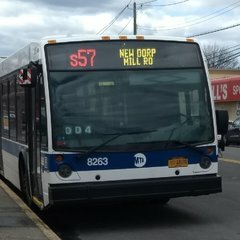 Oddo said in October that several old express bus stops would be restored but the MTA was unable to provide a timeline. The stops were initially removed to speed service but are being restored due to walking environment factors, street pavement and distances, and customer feedback, the MTA said in a statement. 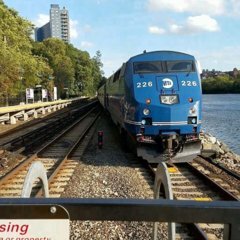 The Department of Transportation (DOT) is working with the MTA to restore an eighth stop at Richmond and Rockland Avenues. The MTA plans to add one new peak-period and one new off-peak route to the network, plus make trip additions, route extensions, and other adjustments to meet ridership demand. A new route, the SIM11, will run roundtrip from Mill Road/Tysens Lane to Midtown Manhattan using Hylan Boulevard, Madison Avenue and Lexington Avenue. This is similar to the former X2. The SIM33c will add new off-peak combination downtown/midtown service similar to the previous X10. The off-peak SIM4c will now serve the Richmond Avenue/ Lander Avenue and Richmond Avenue/ Morani Street stops as the peak period SIM4 does (similar to the previous X17). This will provide new off-peak and weekend service to Mariners Harbor. SIM4c: All off-peak and weekend service will be extended to Huguenot Avenue/Drumgoole Road in order to serve more customers, and the route will be changed to mimic the former X17 route on Richmond Avenue north of Victory Boulevard. SIM1 and SIM34: Service will be extended to Houston Street, a response to requests for direct service to Tribeca and SoHo. This is also to ease terminal capacity issues at Chambers Street. SIM25: The p.m. span will be extended to run for a longer period of time, to match the SIM26 and the former X22. SIM6: This line’s terminal will be relocated to Lexington Avenue and 57th Street, from 6th Avenue and 57th Street, to improve reliability by eliminating the need to unnecessarily travel cross-town. SIM2: This route will have off-peak and weekend service discontinued due to very low ridership and to free resources for other routes with high demand. Well, what did they expect with running the SIM2 only to Downtown? That route needs to go to Midtown as well during the off-peak period. People are just not going to get off in Downtown and take the train. I'd often check out the midday SIM2s (almost every other day most weeks) and though I can't see what's going on down at Vesey, there'd usually be only 2 people, or sometimes no one getting off at Chambers... Then for s/b pickups only 1-4 people at Warren and Bway. Must be nice to have such an empty bus though. That was my argument as well. Aside from that, I want to know what sort of marketing was done? They ran the bus at ridiculous times. It’s like there was no thought given to the route. Having trips at 06:00 in the morning going back to Tottenville for who? Who is the route serving on weekends and off-peak? Who is the targeted ridership base? Did they study demographics or rider habits? We both the answer to that. Just ridiculous. Now they’re pulling the plug after not even three months. Service started in mid August and now it’s done. A new SIM11...basically the old X2, about time, now the SIM6/SIM10 will see some relief. Honestly I thought the SIM2 would've been a success but I guess not. This new SIM33c route. I hope this route can run via West/Vesey St off peak, and run down Houston along with Lexington and Madison. Everything does 5th and 6th off peak, let's get Madison/Lexington or Madison/5th at least in there as well. How long is the SIM30 Rosebank branch gonna last? Is it permanent?? I don't see the point of eliminating it but I remember they said its a trial. I'm requesting the X18 be restored and the X14 via 23rd come back too (not the restructured X14 that ran via Water, but the original one that went to Midtown only). This is long from over. Meeting is coming up in a few days with them. Still lots of unhappy folks, so still have the local folks working on restoring stops there and I speak with them regularly, this way we aren't working on the same things. The SIM30 would be helped out. It seems as if Rosebank wants Midtown service too, so I may just suggest keeping the SIM30 trips as they are, but working to restore more stops, particularly ones that had park-and-ride set ups. People are really pissed about losing some stops on that line and the overcrowding. Having the X14 back would help the folks in my old area there in Westerleigh and West Brighton that used that line. They only have the SIM35 which is absurd. That forces people to have to drive elsewhere for express bus service. The SIM33c is essentially the old X10 to a degree, with some obvious small changes, and I believe it will go to the East Side off-peak like the old X10 did, which is the way it should be. Is it possible to create a X18 route that runs via West St and then straight up to 42st and across 42nd to Madison? And back down 5th? I would have it start at School Rd/Tompkins Ave, run down School, left on Bay St, Left on Hylan, Right on Tompkins, Left on Vanderbilt, to Richmond Rd, left on Narrows Rd to bridge. Then via west street, stopping at financial district, and then all the way up to 42st and via Madison/5th. That whole area has no peak Midtown service, until you reach the end of Narrows Road, where you have the 10, and the 6 on Lily Pond. I think the wants more short routes. A direct Downtown route and a direct Midtown route, not one combined. Most trips on some of the new lines now take about an hour and they’d like to keep it around that where possible, otherwise it becomes too expensive. Rosebank is hard to serve because of the layout and the hills. You can’t make routes so direct there, but something should serve it for sure. We’ll have planners join me at the meeting this week, so we’ll discuss possibilities for sure. While reading this, I thought to myself "oh cool, they're actually putting in the effort to improve the system!" Then I read the last line. 1. People don't know about it. They are accustomed to driving to the Transit Center or Hylan, or taking the ferry. I was talking to my neighbors yesterday and I mentioned the SIM2 and they were shocked, they had no idea there was an express bus so close that ran 7 days a week. One of them said he would start using it. The MTA needed to get the word out that the new service is available. Even people who drive to the city might take the SIM2 because it's really almost as fast as driving, plus parking isn't an issue. 2. The span. Off-peak and weekends, people come home far later than 8:15. People going into the city during the day who plan to come home later in the evening park at the Transit Center. 3. It's TOO SOON! It's been just over 2 months. I remember taking the Second Avenue subway every weekday in January 2017. The trains were almost empty. (And this is despite the fact that people actually knew about the service.) Now look how crowded it is today. 4. It doesn't make a huge difference, but Downtown only. Off-peak and weekends people are going to Midtown. But at the same time tons of people on the other off-peak express buses get off Downtown. 5. Very minor, but it doesn't serve the heart of Tottenville. When people own a car they probably won't walk 10-20 minutes to the bus stop. I would have the buses terminate at Main/Amboy like the S59. And it's not "very low ridership" all the time. The buses were almost empty heading to Manhattan in the afternoon (because fewer people are going to the city in the afternoon, and those who do come home later than 8:15). But in September I took the last trip coming to SI at 8:15pm on a Sunday night and there were around 15 people on the bus. Coming home at 1:30pm on one weekday there were around 25 people on the bus. Now the SIM2 is being cut in favor of the SIM33c which overlaps with both the SIM3c and the SIM4c on Richmond Avenue, plus runs very close to the SIM3c on Victory. I'm pretty sure the SIM3c has low ridership, but the MTA wouldn't dare cut service to their beloved Watchogue Road corridor... It's not fair that the North Shore, which already has a robust local network, is getting two off-peak routes that run parallel to one another. Is the ridership demand even high enough to justify two routes? Meanwhile the South Shore will have no service, except for that short SIM4c extension. And the local service is scarce, especially on weekends. Not to mention Arden Avenue is getting completely screwed over (if the SIM4c runs on Woodrow). Send a SIM2c along Victory and Gannon Avenue instead of a SIM33c. Extend the SIM4c from Huguenot SIR down Hylan to Main/Amboy. It would add a mere 10 minutes to the route each way. (Not to mention some buses would deadhead to Charleston anyway). In both cases the increase to the run time would discourage potential riders on the South Shore. But at least you aren't leaving people stranded. Unfortunately, it’s a done deal. As I said, there definitely should be service on the South Shore given how overcrowded the SIM2 is during peak periods. We are even inquiring about a second Downtown express bus during peak periods to help alleviate the stress on the SIM2. The problem with the SIM2 off-peak and weekends is it was poorly advertised, it only ran to Downtown, and the hours were retarded. Restructure the hours, ADVERTISE the damn service and it could be viable. Now though in order to address overcrowding and uproars elsewhere without busting the budget, they had to eliminate the SIM2 for now off-peak and weekends. I have been directly fielding SIM2 complaints for the local Staten Island group and compiling them, so I will continue to do so and see if and when we can restore service down there off-peak and weekends. Most of these new changes are directly from customer feedback with the Staten Island group that has been aggressively pushing for restorations in service. The has been adamant about not implementing some changes, but they’ve had to backtrack given how horrendous this “re-design” has been. The Watchogue corridor is one that serves folks outside of that corridor and I agree with it. North of Victory, people near Forest Avenue now have service closer which is good. The areas along the SIE also need service, so I expect both lines to get good usage and grow over time. For now you guys have the SIM1C which runs 24/7 at the ETC. When more resources become available, the agency can then revisit direct South Shore service off-peak and weekends and do it the right way, by identifying the ridership base, etc. All of these changes seem to be done haphazardly unless riders scream and yell about getting their old routes back, and they’re also trying to say hey, we actually improved service by providing service to corridors at times when they didn’t have service before, otherwise it isn’t a true redesign. That said, these changes will cost $2 million dollars, which is a lot for an agency crying broke. @XcelsiorBoii4888 I’m also speaking with Nicole Mallitaokis regarding express bus service in Rosebank. We’re going to meet after this meeting. She agreed via social media that she would see me last week. We’ve been talking about the X18 and since that’s been her focal point, I figured she could provide me some assistance in getting the word out and getting feedback from her constituents to push for the service, AND see that it works and stays and is used if it is restored in some capacity, so this is ongoing. I’ll see how this meeting goes, and we’ll keep talking about this via e-mail and conference call as we have been. For a second downtown South Shore route, how about the old X22 route, minus the Hylan portion? Then the SIM2 and this new route would cover most of the South Shore. Plus I've seen people transfer between the SIM2 and the SIM25/S74/84 to get to and from Rossville Ave. The second route would like follow the SIM25 since a lot of passengers transfer currently from the SIM25 to the SIM2. Either that or perhaps something near or along the SIM26 or in between the SIM25 and 26. Yes, what I meant was it would follow the SIM26 until Woodrow (where the SIM26 heads up to the highway) and then cut over Woodrow and follow the SIM25 along Rossville until Arthur Kill. That’s very possible in fact. I think that would be a good idea. Right now it’s just talk while we work with the . There’s one big wig approving the changes and she has been VERY difficult to work with. Her attitude is I’ll get you into Manhattan, and then you’re on your own from there. Total nonsense. 1. Is the SIM4C going to skip Gannon and have the SIM33C (can that even fit on the destination sign?) stop there? 3. Would it be beneficial to have the SIM4C run to Tottenville buy having the bus follow the SIM2 route after Woodrow/Huguenot? Hopefully they don't make the spans and headways of the SIM33C ridiculous like the SIM4C. Since the SIM11 (X2), would serve Hylan, the SIM10 (X5) should be rerouted back to Father Cap. At least it adopts the old "Hylan to New Dorp, Father Capodanno to ETC" pattern. Same should be done by swapping the SIM7 and SIM9 by having the latter run via Hylan to end at New Dorp. The SIM7/SIM9 would then basically replicate the X7/X9 pattern. If the SIM1 (X1), and the SIM34 (X12) will be extended to Houston, would it be beneficial to extend it to 14 St to end with the SIM7/9/33? Might as well just end them there if they're already being extended to begin with. I agree that the SIM33C should just retain the old X10B routing (by having it end on the east side) as VG8 said. They should've honestly given off-peak service to the SIM26 (X22) instead of the SIM2 (X19). The former is/was more busier than the latter and it runs/ran to Midtown as opposed to latter which only went to Downtown. 2. The SIM10 wouldn’t go on Capodanno. On Hylan it would serve 5th/6th (like X1/X9) while the SIM11 would serve Madison/Lex (X2). 3. I would say yes, but that’s because I would use it, lol. I don’t know if they would do that. But it’s only like 10 more minutes from Huguenot SIR to Hylan/Craig. And if it runs on Woodrow instead of Arthur Kill and Arden, the SIM4C would be 5 mins shorter than the X17 was. So running it to Tottenville wouldn’t be that big of a deal. The SIM4C spans and headways were only ridiculous because it took on riders from both the X10 and X17. Now the SIM4C and SIM33C should theoretically have the same spans and headways as the X17 and X10, except the SIM33C should be a little less frequent than the X10 because the SIM3C takes on North Shore riders too and serves Port Richmond. I'm going to start working on an off-peak network for the SIM routes. I'll post it in the Advocacy Group when it's done. Since﻿ the SIM11 (X2), would serve Hylan, the SIM10 (X5) should be rerouted back to Father Cap. At least it adopts the old "Hylan to New Dorp, Father Capodanno to ETC" pattern. Same should be done by swapping the SIM7 and SIM9 by having the latter run via Hylan to﻿﻿﻿ end at New Dorp. The SIM7/SIM9 woul﻿d then basically﻿ replicate the X7/X9 pattern. If the SIM1 (X1), and the SIM34 (X12) will be extended to Houston, would it be beneficial to extend it to 1﻿4 St ﻿to end with the SIM7/9/33? Might as well just end them there if they're already being extended to begin wit﻿h. I think the SIM10 is better staying on Hylan because it is more like the X1/X7/X9, since it serves 5th and 6th Av. The SIM6 is essentially the X5 since it runs on Madison and Lex, and it runs via Capodanno. The SIM10 takes on X1 riders going to/from Hylan early and late in the rush hour too. I agree with the SIM34 to 14th Street, but the SIM1 to 14th is unnecessary because you have the SIM7 and SIM9, plus the more you extend it the less reliable it is. I don’t think the SIM33C (that name is just too long) will have the X10B routing on West St, but I do agree it will probably go up Madison and end on the east side. I don’t agree with a new X3 and X4. I think it would be better to just send the SIM5 on the downtown loop. I'm guessing that the is finally coming to it's senses in regards to Staten Island Express bus service. However, I think that is still not enough. Although, I'm a former express bus rider (Brooklyn) BM1, BM2.. We have our own issues. However, that's for another post.. This is significant progress on how loud a borough speaks up to the and get change. The other underlying issue is the far west side service via West Street to 57th and 11th. I feel that service needs to come back. Hopefully the Express Bus Advocacy Group can possibly do some work in regards to possible far west side service. The east side is well focused. 1. Yes, the SIM4C will likely skip Gannon given the fact that the SIM33C will terminate on the East Side like the old X10 and the SIM4C will be extended further south like the old X17 (but not to Tottenville). 2. No changes to the SIM10 at this time. 3. No. The whole point of the re-design is to have quicker service, not a tour of Staten Island. No idea yet what the spans will be. We didn’t get everything we wanted, and as I told the people I’m working with, no way in hell would the give everything back. I know one thing. They had better start filling these damn trips because if not I will be speaking at every board meeting and putting several folks on the spot WITH media coverage too. Wouldn’t be a good look for the . I am also still going to be meeting with the Comptroller’s Office later this month to discuss having them audited to see just how much they’re letting things slip. This missing trip BS is insane and they’re not going to keep pretending they are filling trips on the schedule when we continuously see gaps of 40 minutes or more on various lines not just on Staten Island either. There are definitely some games being played and I’m going to get to the bottom of it.